Martin Shkreli offers to buy Kanye West’s The Life Of Pablo for $10 million in a tweet sent today (February 11). "aiyo @kanyewest last minute can i buy your album out so it dont get released publicly,” Shkreli writes of the album that was premiered during "Yeezy Season 3" at Madison Square Garden today. "Here is my initial offer for the album. @kanyewest Thanks for your consideration and I look forward to your response,” Shkreli writes in another tweet that accompanies a letter seeking to purchase the album for $10 million. A screenshot of the letter is below. Shkreli also makes a legal argument for his pursuit of the project, which is being released by Def Jam Recordings. "Kanye and his label are legally required to take my offer letter to their Board of Directors. 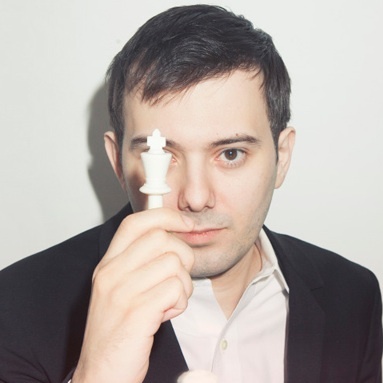 This should delay the album by a few days,” Shkreli writes. On The Life Of Pablo selection “Freestyle 4,” West raps about not being able to be bought. "Money never made me Make me do something?” Kanye says on the song, per Genius. "Nah, can't make me Even if the money low, can't pay me Even if the money low, can't play me." In December, it was reported that Shkreli purchased Wu-Tang Clan’s Once Upon A Time In Shaolin album for $2 million. Since the purchase was announced publicly, Wu-Tang Clan members RZA and Ghostface Killah have traded insults with Shkreli.